Your heart works hard to keep you active. Now it's time to show it some nutritional love. Prevent heart disease and boost your heart's health with this workout program. We all know that exercise is good for heart health, but do you know how your heart physically changes to adapt to your workouts? Learn about your heart's biology to keep you motivated. These top 5 heart-friendly nutrients will keep you pumping through all your athletic goals. Do you know how healthy your heart is? Don't be a statistic; learn the facts and prevent heart disease. Omega-3's, cholesterol, triglycerides...what do they mean? And how will they help your heart? Here's how to make sure your ticker is in top shape. 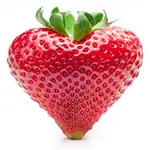 Keep your heart beating strong with these five foods. Can a healthy, active body be vulnerable to a heart attack? It's not unheard of. Safeguard against sudden cardiac failure with these tips. Keeping your heart healthy should be a top priority. Find out how with these tips. Busy B's: Good for Your Heart? Will extra B vitamins help prevent heart disease? Follow this guide to find out how to eat well and protect your heart. 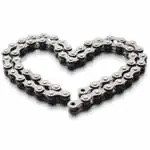 Although exercise is one of the best ways to improve heart health, even athletes are not immune from heart disease. Here are ways to eat wisely and keep your heart beating for a healthful lifetime. Two dietary experts and the American Heart Association offer a host of heart-healthy eating tips, for home and eating out. 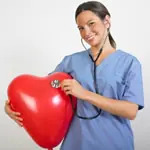 February has been designated American Heart Month since 1963, so besides Valenetine's Day restaurant reservations, think about what you can do for your heart. Here are some heart-healthy tips to keep in mind throughout the year. Your active lifestyle may give you an advantage, but to win the war against heart disease -- the No. 1 killer of women -- you need to know the risks and how to take action. Heart Rate Readings, What Do They Mean? A heart rate monitor is a non-invasive peek at your body's energy production system. The monitor can help estimate how your body is producing energy. This energy production and related exercise intensity can help you plan your training and recovery. Increase your fitness level and lower your heart rate with these six tips for optimal heart health. 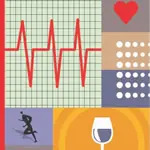 Healthy living goes beyond just measuring how fast you can go or what your max heart rate is. In fact, its the numbers that cant be measured with a stopwatch that mean most to your health. 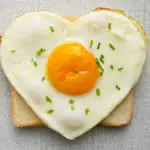 Eggs have a bad reputation because of their high cholesterol content. But, in fact, they may even be good for your heart. Here's the latest on eggs. This warm, delicious drink can boost your heart health and support your digestion. And did we mention the chocolate? 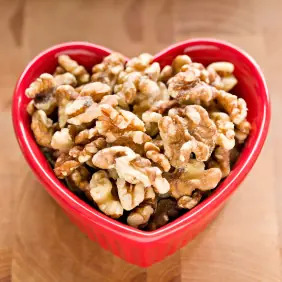 Nuts are earning a reputation as a food that offers health benefits. 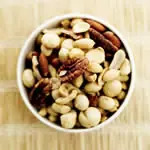 You don't have to feel guilty about digging into that bowl of mixed nuts you--as long as you follow that healthful mantra: Moderation. Your heart rate is measured by the amount of times it beats per minute. 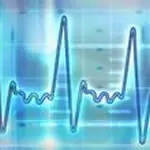 In order to understand how to condition your body by analyzing your heart rate it's important to understand the four different types of heart rate. The question of heart risk is at the forefront of many runner's minds. Find out what you need to know to assess your risk. An active lifestyle is one way to keep your heart healthy. Here are a few tips to make sure your heart keeps beating strong.